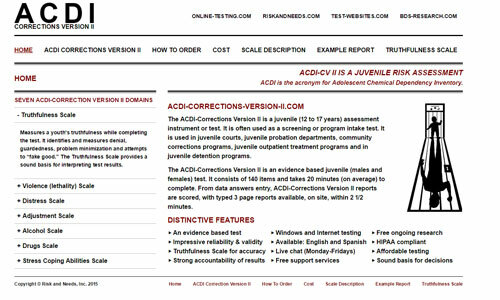 The Juvenile Disposition Assessment (JDA) is a 159-item computer scored self-report test designed specifically for juvenile (male and female) disposition evaluation. 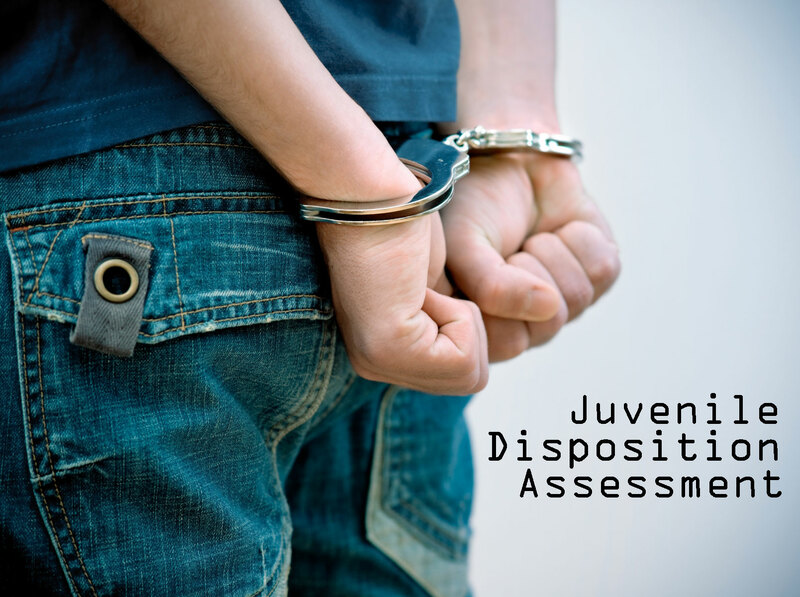 The JDA assesses attitudes and behaviors important to juvenile adjustment profiles. Measures how truthful the juvenile was while completing the test. This scale identifies denial, guardedness, problem minimization and attempts to "fake good." Identifies suicide prone individuals. Some youths are emotionally overwhelmed, desperate and dangerous to themselves. Measures defensiveness, uncooperativeness and resistance. Some youths resist help, whereas others accept it. Reflects a person's explicit valuing and appraisal of self. It incorporates an attitude of acceptance-approval versus rejection-disapproval. Measures the use of force to injure, damage or destroy. This scale measures the youth's danger to self and others. 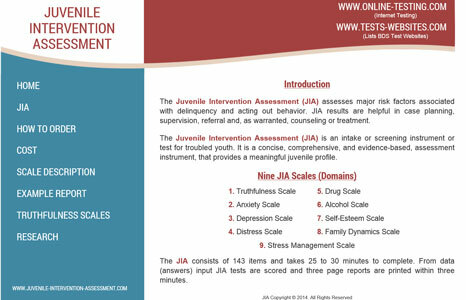 Adolescent violence concerns contributed to the inclusion of this scale. Measures alcohol (beer, wine and liquor) use and abuse. This scale measures the severity of alcohol abuse while identifying alcohol-related problems. 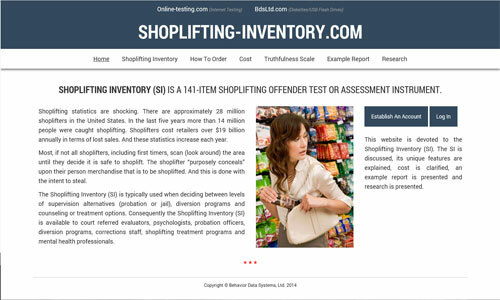 Measures the severity of illicit drug (marijuana, crack, cocaine, amphetamines, barbiturates, heroin, etc.) use and abuse while identifying drug-related problems. Measures experienced pain, worry, sorrow and grief. Distress can involve both mental and physical strain. Distress is a common reason why youths seek counseling. Measures how well the youth handles stress, tension and pressure. Stress exacerbates symptoms of emotional and mental health problems. Copyright © Professional Online Testing Solutions, Inc.